← Nerdlocker Launches Week Two For Their Mondo Bracket – How Did YOUR First Round Picks Do? Some of the world’s most beautiful sounding instruments are made from wood. Violins, pianos, guitars and drums all use wood’s intrinsic properties to produce and unmatched quality of sound. 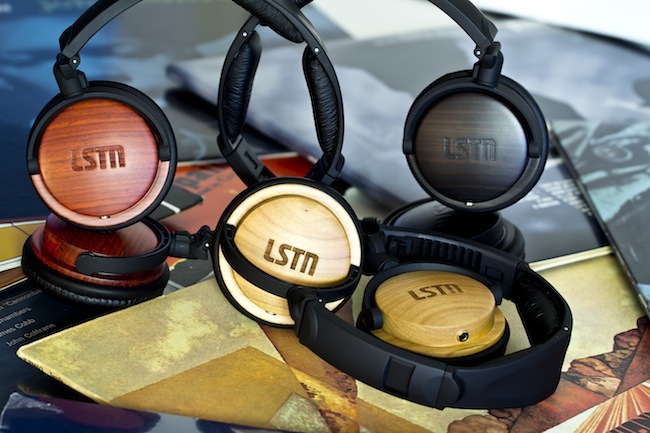 Realizing this, the folks at LSTN Headphones decided to create headphones and ear buds out of wood to offer you an immersive sound experience. LSTN Headphones have a lot going for them. They are: stylish, sound incredible, made sustainably, and the company even does a fantastic job donating proceeds to charity. They use Ebony, Cherry, and Beech woods for their products and they never dye their wood so what you see is all natural beauty that doesn’t harm the environment in any way. These woods are recycled from reclaimed exotic leftover scrap woods from furniture makers that would have been thrown in a landfill. The innate patterns in wood ensure that no two headphones are the same offering a unique look to each pair. 1.) 95% of children in deaf schools can be helped with a hearing aid. 2.) 80% of the hearing impaired live in developing countries. 3.) The production of hearing aids only meets 10% of global need. LSTN Headphones has partnered with the Starkey Hearing Foundation and Sound Seekers to make a significant difference in children’s lives. For each pair of LSTN Headphones that is purchased, the company donates money to their partners for the deaf and hearing impaired. Each headphone sold will provide one child with hearing loss the medical attention they need as well as a custom fit hearing aid! 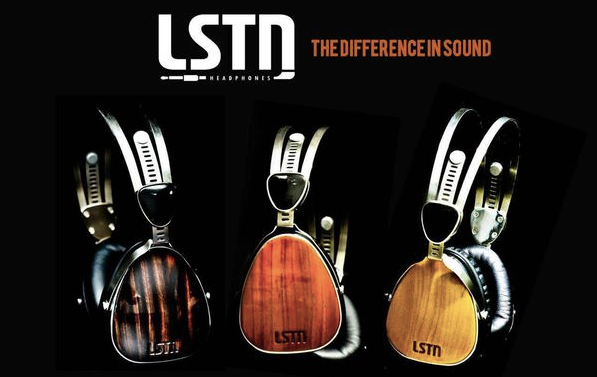 Head over to LSTN Headphones WEBSITE to learn more about this brand and check out their FACEBOOK and TWITTER pages for updates on new products. Their all new TROUBADOUR HEADPHONES are available for pre-order and will ship in May! 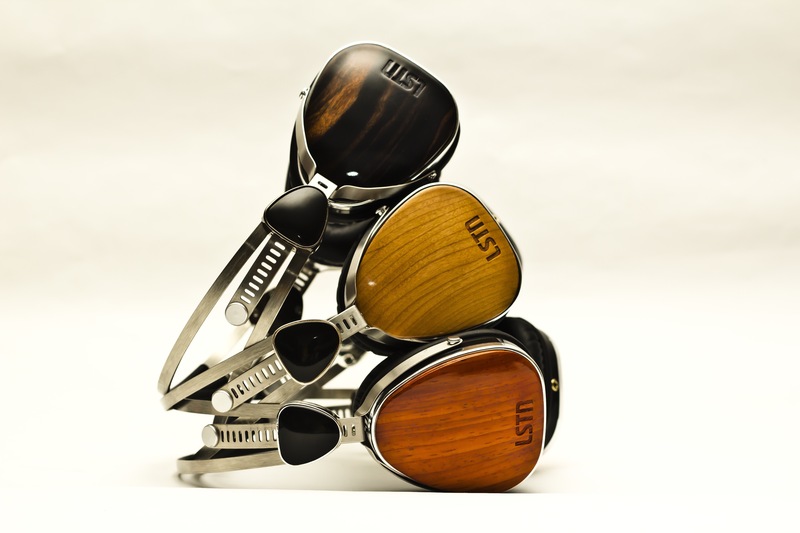 These gorgeous headphones are being offered in 3 different types of wood: beech, cherry and ebony. On a side note, I have been testing their BOWERY Earbuds and they are fantastic. Great, full sounding earbuds that are comfortable to wear and won’t break the bank account. These are definitely worth a listen. BLURPPY readers can get 25% off at checkout by entering code “frontrow”. This entry was posted in Accessories, Gadgets, Good Wood..., Music and tagged Lstn Headphones, Troubador. Bookmark the permalink.